According to the article in Canada’s National Post1, Mohammed Mansour Jabarah, a 22-year old Canadian, told interrogators that he had heard from an assistant of Khalid Sheikh Mohammed (KSM), mastermind of the 9/11 attacks, that the November 12, 2001 crash of American Airlines Flight #587 in New York was the result of an al Qaeda shoe bomb. The bomber was “Farouk the Tunisian”. Newspaper photographs showed him to be Abderraouf Jdey, a 36-year old Montreal-based Canadian of Tunisian origin. 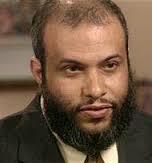 Jdey is one of the seven al Qaeda terrorists listed in the FBI’s plea for information from the public in May, 2004. He had emigrated to Canada in 1991, gained citizenship in 1995, and then travelled to Afghanistan where he trained as one of the ten substitutes for the 9/11 attackers. According to KSM, Jdey was slated for pilot training and was to be in the second wave of attacks. Jdey recorded a martyrdom statement in a video later found by American forces in Afghanistan. 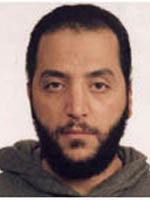 He returned to Montreal in summer 2001 and was detained by INS and FBI on or around August 16, as was Zacarias Moussaoui. Moussaoui had a computer disk with information on cropdusting (he had previously queried the University of Minnesota about taking a course on cropdusting); Jdey was carrying biology textbooks, according to a 2010 Harvard report. FBI omitted the computer disk from its inventory of Moussaoui’s possessions in its court filing, and it did not mention Jdey. Jdey was evidently released. In response to a Freedom of Information request, FBI refused to divulge any information about the detention of Jdey on the grounds that it would constitute an invasion of his privacy. But they wouldn’t necessarily trust just any al Qaeda operative to safeguard and perform with the anthrax, and perhaps they knew very few of al Qaeda’s sleepers in North America anyway. They would want to give the anthrax to an operative they knew and trusted, one who would use it to the best effect. And he had studied biology at the University of Montreal in his late twenties. An especially hard-to-explain anomaly in the hijackers’ story has been why Atta and a fellow hijacker travelled from Boston to Portland, Maine on September 10. Taking a feeder flight from Portland to Boston on the morning of September 11 caused Atta nearly to miss his connection, and he and his companion had to pass through security questioning twice rather than once–at a significant added risk of detection. Clearly, Jdey would be a very likely “someone”, and handing over the vials of anthrax would furnish a compelling reason for their otherwise risky meeting. Jdey decided to mail the anthrax. The first mailings took place in September soon after the 9/11 attacks. The second mailings, to Senators Daschle and Leahy, occurred in October and included high-quality anthrax. Driving hundreds of miles from Montreal to Trenton to mail the letters made sense because it perfectly disguised Jdey’s Canadian base. The presumed trip to Portland indicates that such a long cross-border drive to reduce the likelihood of surveillance was a modus operandi of Jdey. The recently leaked Canadian intelligence report from 2002 provides a plausible explanation for the lack of information about Jdey’s whereabouts since then (as well as for the cessation of the anthrax mailings): Jdey committed suicide on Flight #587 on November 12, 2001. In early November, 2001, Jdey recognized that–as the Anthrax Mailer–he was likely to be arrested at any moment, so he would do well to act on his pledge of martyrdom by turning himself into a shoebomber. The Canadian intelligence report has him leaving Canada in November, though the date is not provided. On November 12 he showed up at Kennedy International Airport and boarded Flight #587. No Canadian passport holders are listed on the final passenger list of Flight #587. The scenario sketched out above has the virtue of conforming to the evidence available in a logical manner. Four main perceptions support it: 1) it would powerfully explain Atta’s mysterious Portland trip; 2) it would show why the Mailer has proven so elusive and why the mailings ceased (Jdey might also not have revealed to any other al Qaeda operatives that he had the anthrax, so no one would know that he had been the Mailer once he committed suicide); 3) it fits very well the characteristics that caused Jdey to stand out among the substitute hijackers, and indeed that differentiated him from the actual hijackers as well; and 4) FBI’s effort to conceal the detention of Jdey along with Zacarias Moussaoui strongly suggests a cover-up. Of course, there are major gaps in the evidence. There is no direct evidence of a meeting in Portland. The cause of the crash of Flight #587 remains controversial. According to the official inquiry, there was no evidence of an explosion on board. Accounts of eyewitnesses from the ground, however, are highly consistent with a shoe bomb explosion. The explosion could have been small enough to be masked by wake turbulence from the preceding JAL aircraft. The co-pilot’s frantic manipulation of the rudder would thus have been a hopeless attempt to rescue a doomed aircraft. Still, we don’t know when or how Jdey crossed the border. We have no direct evidence that he ever was in Trenton. In short, we don’t know a lot that we need to know. See if the ticket agents recognize Jdey’s photo. Test Jdey’s apartment for anthrax. Hunt through Jdey’s background. He was educated in Tunisia as a architectural engineer, then studied geology at the University of Montreal. What kind of biology did he study in Montreal? Or did he learn about biowarfare in Afghanistan? Did he hold any subsequent job? Had he served in the Tunisian police or army? What kind of a person was he? Although the above account couches its argument in terms of a search for conclusive proof, in the circumstances of a case where the leading suspect appears to have committed suicide, conclusive proof may never emerge. Therefore, it may be necessary to shift the standard of proof to “preponderance of the evidence”. It is very possible that FBI has sufficient evidence for a reasonable person to conclude that, more likely than not, Jdey was the Anthrax Mailer. Indeed, some might conclude that simply on the basis of the evidence and arguments in this article. All other theories of the case (including FBI’s weak, 100% circumstantial one) face the severe handicap of having to provide plausible explanations for anomalies that this theory resolves, including above all the outstanding anomaly of Atta’s trip to Portland, Maine. FBI’s theory provides no plausible explanations for some of these anomalies and only feeble ones for others. In addition, FBI’s claim to have cleared all those with access to the anthrax other than Bruce Ivins does not account for the possibility of theft of the anthrax, as discussed below. For the sake of argument, one could still assume that Jdey was not the Mailer. This would make the evidence and logical connections adduced in the discussion above a mere string of coincidences. Atta’s trip to Portland, Jdey’s study of biology, his apparent role as leader of the Second Wave, the ways in which he stood out from the hijackers and their substitutes, his high believability as the author of the anthrax letters, FBI’s concealment of his detention at the same time as Zacarias Moussaoui, the perfect match in regard to timing, the compelling reasons for his elusiveness, the account of Mohammed Mansour Jabarah—all these would become sheer happenstance. So it is reasonable to think that the answer to “Was Abderraouf Jdey the Anthrax Mailer?” is: more likely than not. Or rather: much more likely than not. How did al Qaeda gain access to the anthrax? According to attorney Ross Getman, an expert on al Qaeda’s biowarfare program, it had opportunities at several university laboratories. The project was using an avirulent Delta strain of anthrax from NIH. However, Bailey may have been the “former deputy commander” who was one of FBI’s ultimate four main suspects—presumably meaning that he had obtained a sample of virulent anthrax. DoD would have wished to devise countermeasures to the alarming technological innovations of the Soviet biowarfare program learned from Ken Alibek (whose office was next to Bailey’s at GMU), former deputy director of the Soviet program, and other defectors (this explanation appears far more likely than that the U.S. Government itself was running an offensive bioweapons program; biowarfare is antithetical to U.S. interests, whereas it was a major component of Soviet weapons development and strategy). One of these innovations appears to have been a special formulation of anthrax. To devise countermeasures, DoD would have wanted to prepare enhanced anthrax to as a vaccine challenge. In a more general sense, ensuring the adequacy of biodefense measures necessitates developing offensive capability to test them. FBI’s theory of the case treats the problem of preparing the anthrax as one of merely purifying and drying spores. But the anthrax in the senators’ letters in addition possessed special characteristics that caused individual particles to waft upward spontaneously. It had a high silicon content—reportedly 1.45% in the Leahy letter and possibly higher in the Daschle one, well above natural background levels. And the crude anthrax in the letter to the New York Post had a 10% silicon content, impossible to interpret as anything but an addition. Its tin content was 0.65%—far above background level; tin can catalyze the fusion of silicon into a silicone layer. In its February 15, 2011 report, the National Academy of Sciences identified a bimodal pattern in the letters to the senators in which exceedingly tiny particles 1.5 microns in diameter on average were accompanied by clumps larger than 20 microns in diameter. The tiny particles were dramatically smaller than known U.S. and Soviet anthrax; and the particles—which appear to be individual spores—were of a very uniform size. NAS argues that silicon was not added to the senators’ letters because the tiny particles would spontaneously waft upward individually on their own. But it does not take into account that silicon could have been added to induce the larger clumps to break apart and disperse also (the 1.5 micron diameter particles constituted only 1/2000 of the Daschle anthrax) or that the dispersal of the tiny particles would have been enhanced by addition of the silicon. It is not clear whether the silicon collected equally in the tiny and the larger particles; whether the tiny particles possessed other characteristics distinguishing them from the larger particles; or whether all spores—individual or clumped—were of the same size. The evidence assembled by FBI strongly suggests that U.S. Army scientist Bruce Ivins prepared (processed) the anthrax. But, if this is correct, he does not appear to have done it at USAMRIID. It seems that he would have prepared powdered virulent anthrax at a facility like Southern Research Institute (SRI) in Frederick that presumably had considerably more appropriate equipment than was available at USAMRIID as well as a Biological Safety Level 3 facility. Patricia F. Fellows, Ivins’s closest collaborator at USAMRIID, who later moved to SRI, appears to have been the only one of his close associates who thought that he was the Mailer—perhaps because she knew that he had had access at SRI to the anthrax that showed up in the letters. Fellows, who had expertise in aerosols, was the only current USAMRIID employee to whom FBI’s bloodhounds reacted, so she might have collaborated with Ivins in preparing the anthrax. 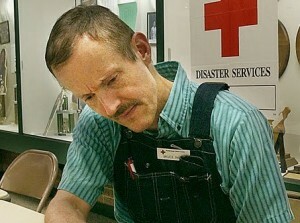 David Franz, commander of USAMRIID from 1995 to 1998, then retired and became head of the Chemical and Biological Defense Division of SRI until around 2003. Neither Franz (initially responsive to requests for information about aspects of the case but then increasingly evasive) nor any other past or current managers at SRI responds to inquiries about pre-9/11 work on virulent anthrax at SRI. SRI was also subcontractor with Hadron/Advanced Biosystems, the partner with GMU on the DARPA anthrax contract of which Charles Bailey was co-principal investigator. SRI’s role was to perform testing. Franz and Bailey had been at USAMRIID together (possibly Bailey was deputy commander under Franz, but biographical data are lacking). Therefore, SRI emerges as the most likely place for the anthrax in the letters to the senators to have been prepared; and propinquity, seniority, excellent lab skills, expertise with anthrax and vaccine testing, custodianship of the main anthrax flask RMR-10293, and working relationship with DoD entities would make Ivins the most likely preparer, probably assisted by Patricia Fellows. Judging from evidence (inquiries at airfields regarding cropdusters) suggesting that Mohamed Atta’s gang in Florida had obtained the anthrax by February, 2001, Ivins appears to have prepared the anthrax at SRI in a 1998-2000 timeframe. Then, in response to the heightened threat reports in the run-up to the September 11, 2001 attacks, he seems to have taken out samples he had earlier brought to USAMRIID and started testing vaccines, which would explain the upsurge in his hours spent in the hot suite starting in August. This would also explain why, subsequent to the anthrax mailings, he twice swabbed down, then cleaned his lab without authorization. The anthrax mailings—carried out for al Qaeda by a Canadian citizen of Tunisian origin based in Montreal and using anthrax prepared for DoD by a key U.S. Army scientist, then stolen by an American al Qaeda sympathizer—were an inextricable mixture of foreign and domestic elements. As for the FBI investigation, one can surmise that FBI found enough further evidence in 2004 successfully to identify Jdey as the Anthrax Mailer and shoebomber of Flight #587. But this finding (to which presumably only a tiny number were privy) would have been very embarrassing. At a time of the highest alert, the Bureau and the rest of the U.S. Government had failed to stop an al Qaeda operative, whose whereabouts were known and who had even been detained, from perpetrating two major attacks. Kenneth J. Dillon is an historian and former State Department intelligence analyst. See the biosketch at About Us. For further detective work on ancient and modern history, see his The Knowable Past (Washington, D.C.: Scientia Press, 2018). 1. The article, Bell, Stewart. National Post, Montreal man downed US plane, CSIS told, August 27, 2004, has been removed from the Internet. However, a copy of an archived copy can be found at Abderraouf Jdey and the Shoebombing of Flight #587. For further information and analysis regarding the 2001 anthrax mailings, see Intriguing Anomalies: An Introduction to Scientific Detective Work; Psychiatrists Misinterpret Bruce Ivins; Leading Theories of the Anthrax Mailings Case; Who Was the Real Anthrax Mailer? ; The Anthrax Mailings Can’t Have Been al Qaeda; FBI v. Bruce Ivins: The Missing Pieces; Did Ivins Prepare the Anthrax for DARPA? ; and Did an al Qaeda Shoebomber Bring Down Flight #587?. The anthrax mailings case shares important characteristics with the assassination of John F. Kennedy, including the excessive weight observers have given to objections to the elephant-in-the-living-room (al Qaeda and the KGB, respectively) and the insufficient weight they have given to correctly gathered and construed circumstantial evidence. See Did the KGB Arrange the Assassination of John F. Kennedy? 3. However, the anthrax in the letters differed slightly from that in RMR-1029, which came in 1997 from the U.S. Army’s Dugway Proving Ground in Utah. Franz and Bailey should know the origin of the anthrax in the letters and how it came to SRI. 4. In the Freedom of Information Act lawsuit Dillon v. U.S. Department of Justice, United States District Court for the District of Columbia, Civil Action No. 17-1716-RC, FBI was unable to find the 2000-page Interim Major Case Summary, which contains 16 pages on Ivins, in the three most obvious places: with an index search under Interim Major Case Summary, in the digital case file to which it had been uploaded in 2006, and in the physical file at the Washington Field Office. FBI finally found a copy at its Quantico division. It is thus reasonable to suspect that someone has destroyed evidence potentially exculpatory of Bruce Ivins. We must ask if evidence has also been destroyed regarding Abderraouf Jdey in reference to both the anthrax mailings and the crash of American Airlines Flight #587.